Tambayan Center for Children’s Rights, our partner in the Philippines, celebrates the World Play Day 2016 with the launching of a new project on the ‪#‎righttoplay‬. 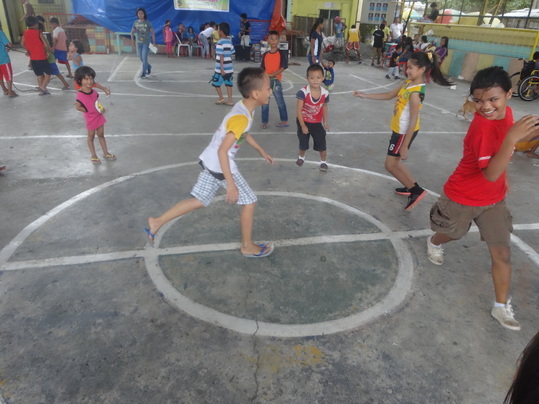 Last 28 May 2016, 148 children from 5 barangays (villages) filled a spacious basketball court to do one thing: play! Children from 3 years old to young adults aged 18 were able to participate in friendly traditional Filipino games such as tumba lata (a game of tag involving hitting a tin can with slippers); bulan-bulan (another variation of tag); iring ug ilaga (translated as cat and mouse); bubuka ang bulaklak (a song-and-dance game); and skipping rope. Futsal players also had their share of the court. In time with the celebration of the World Play Day 2016 was the program launching of Tambayan’s Right to Play (RTP) program which is a 7-month undertaking that seeks to significantly contribute in fulfilling the right of children to “rest, recreation, leisure, play, and participation in cultural life and the arts” based on Article 31 of the United Nations Convention on the Rights of the Child. The program will partner with the villages to make sure that children have the fair, safe, and proper means to be able to play.